Google was obviously watching closely with the Apple iPhone announcement and tried to one-up the competition with its own announcement of the Samsung Galaxy Nexus and Ice Cream Sandwich. It's a little premature to go into too much depth about the Galaxy Nexus or Ice Cream Sandwich, but we feel confident in commenting on the announcement itself: what Google did well and how it could have been better. The Apple announcement disappointed some people because they were looking for a redesign, a bigger screen and LTE. So, Samsung and Google went straight for these two factors, really pushing the design, the screen and the LTE and HSPA+ which will be available in various regions. Unfortunately for Google, there wasn't enough attention paid to how to design an announcement. There were a few awkward moments throughout the announcement that we almost can't fault Google for, because the awkward moments have almost become a hallmark of Google announcements. When the Galaxy Nexus was first revealed, Andy Rubin and Shin Jong-Kyun held up the device and stood there just a little bit too long. And, of course, there were a couple amusing problems as there always seem to be with Google, like Matias Duarte not being able to get the Face Unlock to work properly. Though, the worst part about the design of the announcement was the video screen. When the camera was pulled back, it worked perfectly well, but when the camera was on a closeup of anyone on stage, the screen behind them was too bright, and very obnoxious. It's a small gripe, but one that persisted throughout the hour-long presentation, and so became a bigger annoyance. 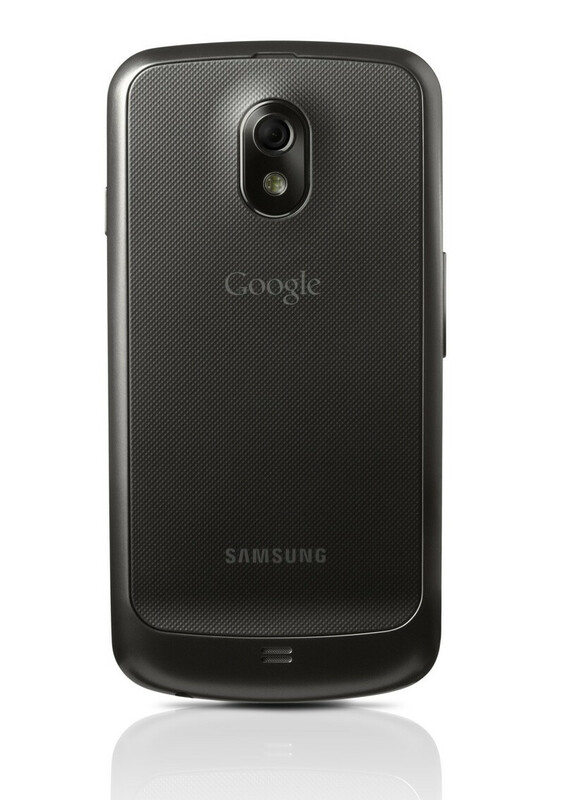 There have been enough leaks over the past couple weeks that we knew almost exactly what we were going to get with the Samsung Galaxy Nexus. We have been keeping track of all the rumors and leaks, and through those we got a pretty clear picture of what we would be seeing with the hardware. We knew we'd be seeing the curved Super AMOLED HD screen, a 5 MP rear camera, and LTE. This is a big difference from the Apple announcement from a couple weeks ago, because the rumors for the iPhone were all leading us to expect more than we got from the announcement, so we were left somewhat disappointed. We knew what we were getting from Google, so the hardware announcement wasn't disappointing or exciting really, it was just a little flat. It was great to see that regardless of the MP on the camera, the quality seems to be excellent, and the new features in the camera app look like great additions to what had been a fairly basic camera experience in stock Android. Of course, even though we knew a lot about the hardware, it was nice to see it all finally demoed by professionals rather than the somewhat fumbling video that we've seen. 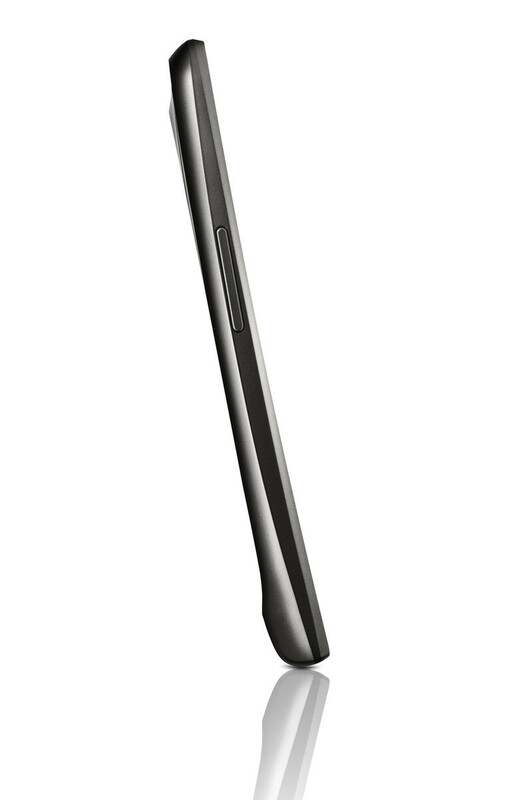 The design of the Galaxy Nexus looks amazing, and we can't wait to actually get our hands on one to see how it feels. 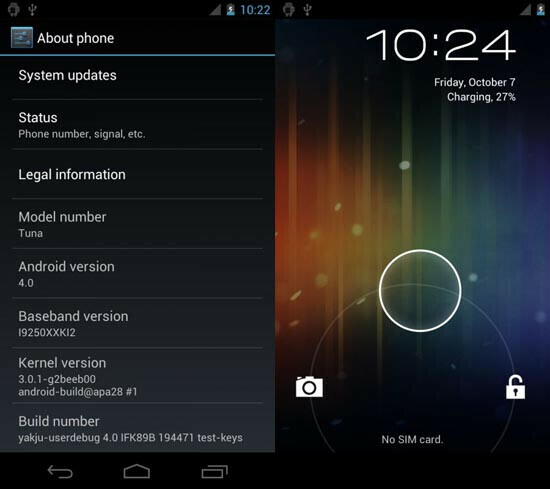 Given that the hardware itself didn't have a lot of surprises, the real star of tonight's announcement was Ice Cream Sandwich, which has been confirmed as Android 4.0. Unlike Apple, which announced the iOS 5 features months before the iPhone 4S announcement, Google held back on most of the Ice Cream Sandwich features until now. We had heard a few things, like that ICS would be merging Android phones and tablets, that it would have native screenshots, facial recognition, and photo editing, as well as some of the updated apps like Google+ and Music, but we didn't know much else. What's interesting is that the only mention of the merging of phones and tablets was at the end when mentioning that the SDK is available right now. It seemed very strange that not only was there no real mention of how Ice Cream Sandwich is going to merge Android devices, but that there was no demo at all of Ice Cream Sandwich running on a tablet. We expected at least a short demo of a Samsung Galaxy Tab running Android 4.0. We can understand that Google may have wanted the Galaxy Nexus to be the star, but it seemed like a missed opportunity to show how ICS will look on tablets, especially given that what seemed to be a tablet was shown in the original teaser for this event. Still, what Google showed off for Ice Cream Sandwich looked great. We were very glad to see Matias Duarte leading the ICS portion of the announcement, because this was a big step forward for Android, and Matias was obviously the driving force behind it. The idea here was to finally put a real design philosophy behind Android, and bring more UI consistency, which were both main points that Matias tried to drive home. Matias wanted to show off how Android has been made "enchanting" (because Apple probably has a trademark on "magical" by now,) and how it has been made more simple to get at the powerful features inside. Many will say that Ice Cream Sandwich "steals" from webOS or WP7 in many of its design choices, but we've covered that argument in the past. Besides, Google didn't steal from webOS, Google just stole the brain behind webOS. Matias Duarte was the lead designer on webOS, and Google hired him to remake Android. Matias' fingerprints can be found all over ICS, which essentially means that everything is much more visual. It seems everywhere possible there are pictures instead of just text, with big picture cards for various tools like the multitasking menu, or the browser tab menu, plus subtle animations, and consistent gestures. Overall, it looks quite good and is definitely a huge step up from the relatively bare-bones UI design of previous Android phones. Aside from the new UI, Google showed off updated versions of various apps, but seemed to gloss over some of the more interesting additions to the OS. We all knew that there would be updated versions of Gmail, Calendar, and Browser, and that there would be new widgets to use with better options like expanding widgets. There are a number of amazing new features available in ICS, but for the purposes of this article, we want to focus on the announcement itself, because we'll be diving into the features of ICS in future posts. The trouble with the announcement was that this was a pure Google demo, there were no other developers present to show off any of the new options or APIs that ICS will be offering. The features of the People app look amazing, if not a little reminiscent of Windows Phone; the possibilities of NFC Beam are incredibly interesting, if more phones get NFC; and the Action Bar looks good, but there were no demos from 3rd party developers for any of the possibilities. Google mentioned the various hooks that have been built in to the new features, but didn't really get to show them off that much, so we don't really know all of the new hooks available, and we don't know fully how developers can use them. Google showed off the aggregation of social activity in the People app, but never actually launched into any 3rd party apps, or explained what kind of data could be pushed to that service. Beam was shown to share a web page, a map, and share apps by sending links to the Market. It was mentioned that Beam could be used to do many things like start multiplayer games, but we never got to actually see any of that in action. Similarly, the Action Bar was shown as part of the Gmail app, and obviously we've seen that before as it is part of Honeycomb as well, but it seemed like there were many opportunities to show developer partners that weren't taken. One of the best parts of the Honeycomb announcement was the show of developers and apps that were planned. Certainly, developer support hasn't been as strong for Honeycomb tablets as anyone hoped, but ICS was supposed to be the solution to that. This is the release that will make it easier for developers to write the app once and have it run on phones and tablets alike. But again, we didn't see any of that, and it would have been great for Google to show off more developer relationships. These missed opportunities lead to the biggest disappointment from Google's announcement, which was an overall lack of specificity. There were a few key specs mentioned, like the details of the Super AMOLED HD screen, the CPU speed, the 5 MP camera, and LTE and HSPA+ radio (depending on region). But, although there were some specs mentioned, a couple of the the most important pieces of info were completely omitted from the presentation. Not only was there no mention of the size of the battery, but there were no ratings given for how long we can expect the battery to last. The only mention was in a vague comment about the AMOLED screen using less power, which makes the battery last longer. Of course, that doesn't in any way tell us how long the battery will last. Battery life has always been an issue with Android phones, and not mentioning at all how long we can expect the battery to last in the Galaxy Nexus is a little bit disconcerting. Because, regardless of how an AMOLED screen uses less power, it is still a 4.65" screen, which will drain the battery just in the size alone. And, aside from that LTE tends to be a pretty big drain on the battery as well. The worst problem with a lack of specificity came in the release window for the device. The only thing said was that the device will launch in November with major carriers in regions around the world. The only carrier specifically mentioned was NTT DoCoMo in Japan. It was mentioned that there will be both LTE and HSPA+ variants depending on the region, but Google gave no specific release date, and certainly didn't clear up any of the issues we have been speculating about in the US. We still have no idea if it will be exclusive to Verizon, or a timed exclusive. We only know the vague notion that it is coming next month. Overall, the announcement itself was good. The Galaxy Nexus looks like a great piece of hardware, and Ice Cream Sandwich looks like a big step forward for Android, especially in the UI by Matias Duarte. The trouble is that even though we just had a bit over an hour of an announcement, we still don't have a full picture of what to expect. 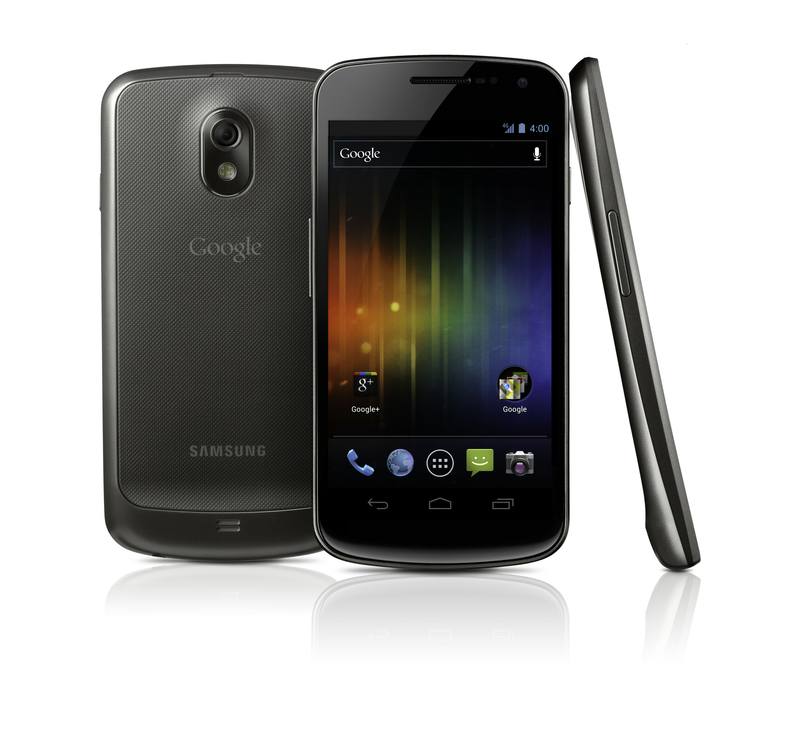 We're excited to get our hands on a Galaxy Nexus, and see what kinds of new tricks are available in ICS. But, it's a bit disappointing that even after the announcement, we don't know exactly what is available to developers in ICS, or how they plan to use those new APIs. We don't know how long we can expect the battery to last. And, worst of all, we still don't know when and where to expect the Galaxy Nexus to be released. We can give Google a pass on some awkward moments, and hiccups throughout the announcement, because those things happen. It would have been nice to see Face Unlock actually work, or the quick reply options when refusing an incoming call, but we'll see those things eventually, and get a better sense of how they work. The products themselves look great. But, there are certain pieces of information that absolutely need to be part of any announcement, and right at the top of that list is to give a specific release date, especially when the product is due out in less than a month. SCREWED UP! No exynos and instead stuck with an OLD HAG WAG gpu the 540 HA! I'd be scared to run quadrant compared to the gs2. Definitely the biggest letdown of the event. 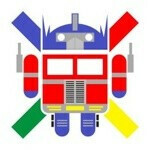 Only hope now is for ICS multi-core optimization to save the day. We'll see. Would've been in a class of it's own with the 4470's GPU.. too bad Google couldn't pull that off. Just read ICS supports hardware acceleration by default! There's still a good chance this is the fastest phone yet! Except that ICS is one of the first times that Android has actually natively supported a Dual Core Processor OR Hardware Acceleration... aka the first time an Android phone has ever actually taken advantage of the hardware thrust upon it. Kinda like how the 4s runs an 800mHz but is so well optimized for it that you wouldn't know it. You guys get waaaay too worked up about hardware, you seem to always forget that hardware is nothing without good software to make use of it. Yes, a couple lets downs, but a really cleaned up OS with some great Improvements. Again, I still think their integration of NFC was awesome, and I am excited to see what developers will do with it. I am very Excited for Android and the strides its made. Same here, can't wait to see what developers do with it, and when it will come to phones with previous android software! michael, good write up. i too thought the entire thing was a bit awkward, but that seems fitting for android. there was some key info that was lacking, but nothing we wont find out in next couple weeks. the thing that gets me is the obsession of android and their fans with apple. early in the announcement, it was said (i paraphrase), "we've really taken steps forward, it is easy to streamline if you dont take any risks or make any real upgrades". and then the first post in the comments section is just one of hundreds on PA every day bashing apple in an unrelated article. You mean the same way you Apple fans bash Android everyday on this site in unrelated articles? Really Phone Arena? Were you even watching? They said the screen size in the presentation. 4.65 inch curved and the resolution is 1280x720p, I was watching it live and they covered that part. Very clearly. Come on, man. As I said in the article, I may have been wrong, and I was. Thanks for the note, but try being civil next time. We're human here at PhoneArena, sometimes we get things wrong. We're happy to fix it when we do, and I've fixed that mistake, but that doesn't give you license to be a jerk. Perhaps if you weren't bashing the announcement in most all of your write up mere minutes after the release of the most ambitious Android OS update... Honestly, too much cool stuff in ICS to ALREADY be bashing on a supposedly neutral site like this. Just sayin'. Hahaha, thx for the laugh. Cry to someone else over your dead OS. Android is is the future. Apple, Microsoft, Webos have all copied each other and from android. You're just mad that your webos is dead and blackberry can't even begin to compete. Android is the best OS there is, get over it. you do realize that android has had folders since 1.5 it was just a slight redesign. virtual buttons have been in existance for decades.. lol never before have they been dedicated virtual buttons that activate/deactivate contextually the camera features have been on samsung phones for a while the people app looks like a blatant rip off for sure, but it does have a lot of functionality that wp7 doesnt. 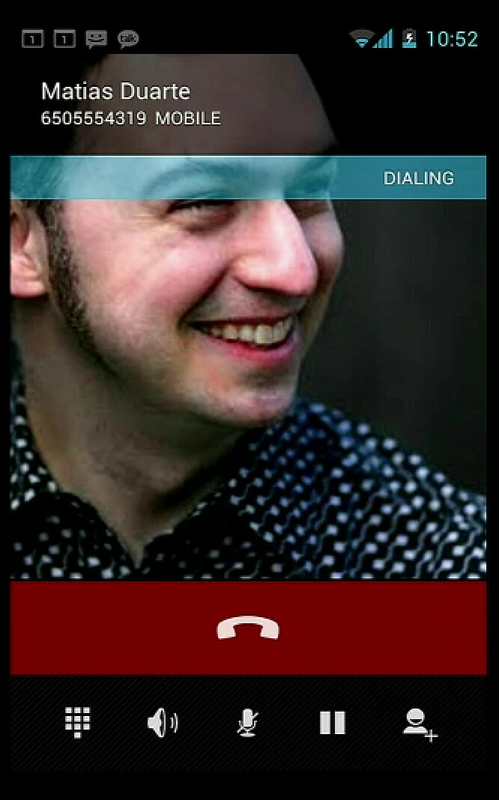 the wp7 camera shortcut is much different, and its already in existance on certain android phones.. its just now being brought to the main UI. no other device has ever done what android beam does. what is an Ovi OS?? lol.. u mean symbian? u silly. The most comical part of iwebdroid's post is the fact that he stayed up late, watched the ENTIRE video feed, then posted all this nonsense when (as per MH's linked article) the debate of who stole what from whom is a complete waste of time. The title of that article is straight from Jobs' mouth. A very thorough iProgramming you have displayed... title of iBot awarded to you sir. Jobs, well done. google did not steal face unlock from anyone, they bought a company called PittPat which had been working on facial recognition. camera shortcut? im pretty sure all OS's have some ort of shortcut to get to their camera. name a webOS device with NFC technology? virtual buttons stolen from ios? what are you smoking. photo editing was on touch wiz before IOS5 came out. I said nothing bad about ICS. In fact, I said a number of quite positive things about ICS. The point of the article was more about the announcement itself and how it could have been better. Never said you said anything bad about ICS, just failed to point out how fantastic an update it appears to be (which, IMO, should be the focal point). The announcement was customary and really only a means to an end.. the release of ICS. Seems like you struggled to find flaws in the presentation to take away from what was presented. Apple did it the other way around, good presentation just didn't present much. "The biggest disappointment was the overall lack of specificity". This was an announcement of a new phone and ICS not a complete product demo with software, hardware, and third party developers on stage to showcase all their work. Maybe if your worthy you will be given one to play for a few weeks so you can become more familiar with the specifics and then give us readers your unbiased,*cough cough*, review. At the announcement for the Motorola XOOM and Honeycomb there was a complete product demo with software, hardware and 3rd party developers. Why can't we ask for the same with this release? I guess your right.. Hey since your asking why don't you ask Matias if he can complete the phonearena.com review for you so we don't have to read your review. Just asking?